Get ready for the ultimate treasure hunt! Get ready for the ultimate treasure hunt! Your shop, Rusted Gold, has shelves to fill, auctions to run, and money to make—and you can only do that with the best finds. 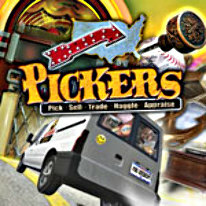 Price your picks to sell them in your shop, or take your chances on the auction block to see if you can make an even bigger profit!